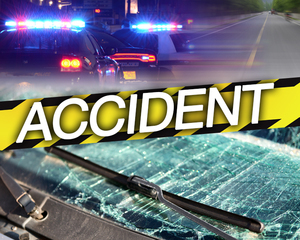 On May 18, 2018 at 9:24 p.m., Galloway Township Police responded to a motor vehicle collision involving three vehicles on Jimmie Leeds Road. According to Police, Guido Monroy, 45 of Galloway, was operating his Dodge Ram and was stopped in the westbound lane of Jimmie Leeds Road waiting to turn south onto Nectar Avenue when he was struck from behind by a Ford F150 operated by Richard Peak 3rd, 34 of Galloway. Peak was traveling west on Jimmie Leeds Road. The impact forced the Dodge Ram into the opposite lane of travel where it collided with a Ford Expedition operated by Stephanie Salmon, 21 of Galloway who was traveling east on Jimmie Leeds Road. 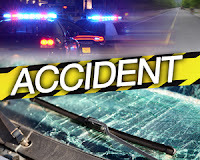 Galloway Township Ambulance Squad, with assistance from a TriCare Ambulance, evaluated all occupants and only Carmen Monroy, 61 of Galloway, passenger in the Dodge Ram was transported to AtlantiCare Regional Medical Center Mainland Campus for non life-threatening injury. Peak was issued a summons for careless driving.